The date for this set is speculative. Lewisohn places a couple of these photos under this date heading but his photo placements can be a bit misleading. In any case this seems a logical, possible date. 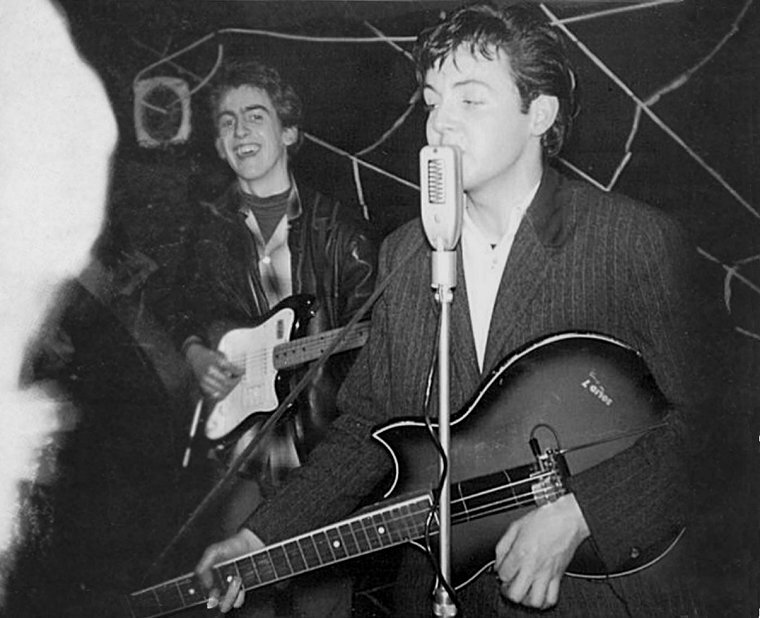 Upon The Beatles' return from Hamburg 30 November 1960 (Stuart stayed in Hamburg), they played four dates with Chas Newby on bass. 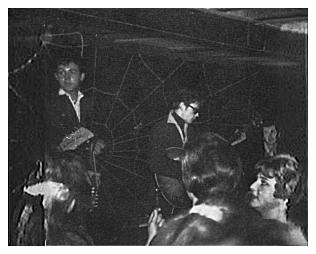 Two dates of which were at The Casbah. Newby didn't last and it was determined that Paul would take the bassman role. 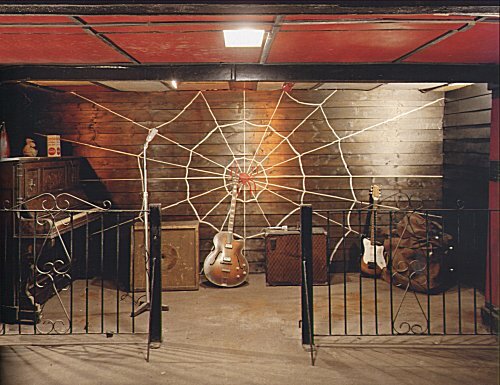 Without enough money to buy a bass, Paul purloined three piano strings and converted his Rosetti Solid 7 guitar into a bass. This is first evidenced in these photos. Paul made the final payment on the Rosetti on 21 January 1961. 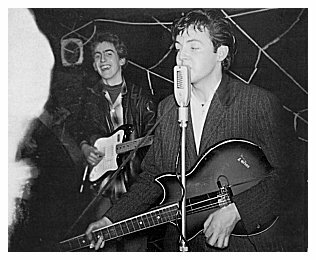 He would not purchase his Hofner bass until April or May. That might narrow the date of these photos by a few days. In a letter, Stuart wrote that he returned to Liverpool in January 1961. 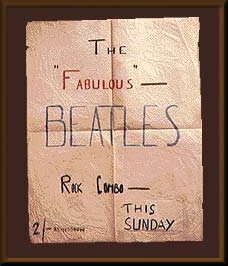 Lewisohn dates his return as "late February" (but I'm inclined to go with Stuart's date). Lewisohn also states that Stuart returned to Hamburg on 15 March. So these photos must fall between January to March 1961. 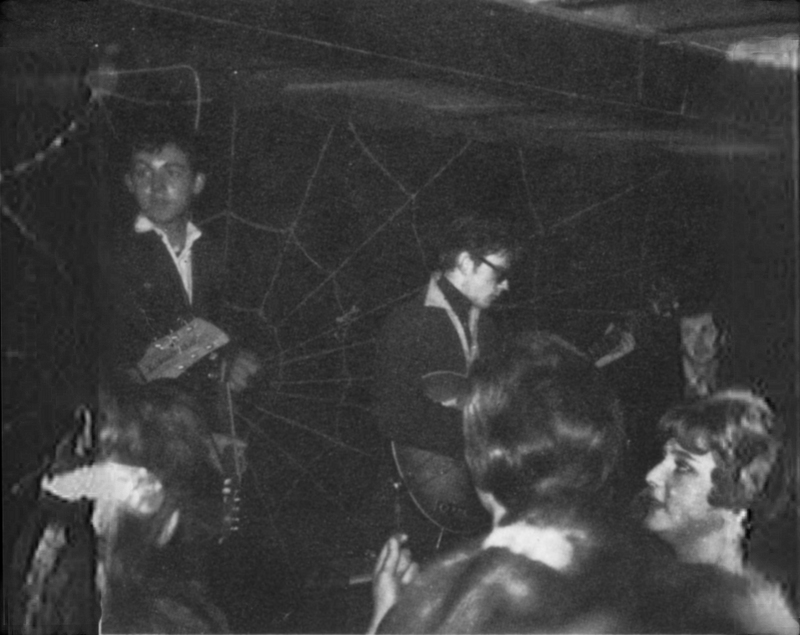 Between January and 15 March, The Beatles played The Casbah on seven dates with two additional dates in late March (see below). In which case, these photos could actually be any of those dates. Obviously, Paul was THE bass player at this time and Stu was only sitting in with the band as he would do during their next trip to Hamburg on 1 April. This could be for ANY of the dates listed below.